Roman Roth is a gifted winemaker who often times is heard singing in an enviable tenor voice echoing amid the barrels of Wolffer Estate. Most of all Roman gives “voice” to his wines, produced by profound experience developed on three continents. It all began with the dream of a 16-year-old boy from Rottweil in Germany’s Black Forest region. He earned his Master Winemaker and Cellar Master degrees from Weinsberg’s College for Oenology and Viticulture. In 1992, Roman became the first winemaker at Wölffer Estate Vineyard. He established the estate’s distinctive character—European elegance combined with the typicity of Long Island terroir. He has dedicated himself to promoting not only the wines of Wölffer Estate, but of Long Island, where he has consulted with numerous vineyards and is currently the President of the Long Island Wine Council. 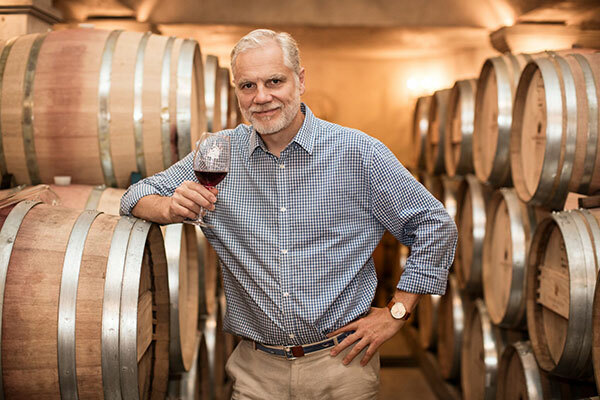 Recent honors include being named as one of Wine Industry Network’s 2019 Most Inspiring People; having two Wolffer Estate wines make recent “Top 100” lists from Wine Spectator and Wine Enthusiast; being honored as the highest-rated wines in Long Island history; and having Wolffer Estate wines served in the White House over the past two decades. Roman and Estelita Roth invite you to join them on a voyage up the stunning Rhone River, from Lyon to Arles. This is a holiday that combines history, wine and fine dining with scenic transition, from the lush countryside of northern France to the more arid landscape of Provence. Along the way, we’ll experience together new and old world wines, fabulous French cuisine, the charming cities and towns of France’s Rhone River Valley and a once in a lifetime wine experience. Please note: This tour and cruise program is created solely for Wolffer Estate Vineyard by our tour operator, Expanding Horizons of Tustin CA in conjunction with AmaWaterways. The pre and/or post-cruise program will contain private meals, tours and/or visits to attractions. These additional services are exclusive to guests on this cruise who book their reservations with Expanding Horizons. Persons booking with alternative travel agencies will not be included in these activities.